Congress is getting ready to welcome scores of new members from both parties in the wake of the recent midterm elections. But while some of the faces and names will change, lawmakers in Washington are expected to take up the debate anew on some core issues for Dunkin’ and other franchise owners across the land. Both parties appear eager to do battle over health care again, while some Democrats are gearing up to push plans for a national $15 an hour minimum wage. Still, given the gridlock that has bogged down Congress in recent years, more debate rather than dramatic action is likely. However, it has been a different picture on the state and local level, with a growing number of jurisdictions voting in $15-an-hour minimums, paid family leave benefits and now looking to regulate how businesses schedule employee work shifts as well. Meanwhile, franchise owners across the country are scrambling to hire new workers at a time when turnover has hit record levels. But apparently it is not just the hot economy that’s to blame for the churn, with some quick-service employees jumping ship over all the new apps and other gadgets they are expected to master and monitor, a new MIT report finds. To get the scoop on the latest developments, read below. The Congressional midterm elections are over. So it’s time for, what else, another showdown over health care in Washington. It wasn’t all that long ago that the debate over health care dominated the headlines out of Washington as Republicans in Congress and the Trump Administration battled, mostly unsuccessfully, to repeal Obamacare. The issue took a back seat over the last several months as other controversies and issues grabbed the spotlight, from immigration to the Supreme Court hearings. But health care emerged again as a major issue in the midterms, ensuring whoever wins will be pushing for changes in the newly elected Congress. Senate Majority Leader Mitch McConnell (R-KY) vowed last month to push for another repeal of the Affordable Care Act. With its expansion of health care access and its regulatory headaches, the ACA has long been a bone of contention for franchise owners and other small business owners. Democrats, in turn, made their efforts to spare a key part of the ACA, the guarantee of insurance for people with pre-existing medical conditions, which was a key talking point in their midterm campaigns. Both parties spent millions on political ads touting their differing positions on the hot button issue, with health care accounting for the largest share of ads of any issue in the run-up to November’s congressional elections, according to The Wall Street Journal. Giant online retailer Amazon’s decision to boost its own base wage to $15 an hour could set the stage for a renewed debate in Congress over boosting the federal minimum. Amazon followed that move by announcing it would now lobby Congress to boost the federal minimum wage, which stands at $7.25. Still, the company has stopped short of calling for a $15 an hour mandated minimum and has declined to say exactly what the new number should be. The decision came after Amazon was called out by Sen. Bernie Sanders, (D-VT), who pointed to stats showing that Amazon has more employees on food stamps in a number of states than any other company. It’s notable because when Amazon talks, many politicians listen. The company employs more than 566,000 people across the globe, with Amazon founder and chief Jeff Bezos also owner of one of Washington’s most influential news organizations, The Washington Post. It’s also notable however, that after Amazon made its splash with the $15 minimum, the company much more quietly but dramatically reduced their employee stock and bonus programs. Meanwhile, a proposal that would raise the federal minimum to $15 an hour is being crafted by Rep. Donald Norcross (D-NJ). In a column for Roll Call, a Capitol Hill newspaper, Norcross called for a gradual but steady increase to $15 over seven years. “Think it can’t pass in a divisive or divided Congress? Every single time Congress raised the minimum wage, it passed with strong bipartisan support,” Norcross wrote. His piece was followed by a rebuttal – also carried by Roll Call – by Michael Saltsman, managing director of the Employment Policies Institute. Most workers who start off at the minimum get a raise within their first year, Saltsman wrote, citing research by Trinity and Miami Universities. This dynamic has only been accelerating as other major companies, including quick-service chains like McDonald’s, boost their pay. But a one size fits all standard could prove devastating in some cities, he noted, pointing to Seattle, where some research has pointed to restaurants and retailers cutting jobs after pushing the minimum to $15 an hour. “If a $15 minimum wage — which is double the historic federal wage precedent — is too radical for Amazon’s high-wage hometown of Seattle, imagine would it would do to Sioux Falls, St. Louis, or even Seaside Heights,” Saltsman wrote. Yet the real battle over the minimum wage is increasingly taking place not in Washington, but on the state and local level. While a gridlocked Congress has a hard time advancing even the most innocuous legislation, state and especially city and town governments have far fewer constraints. A number of states and cities have raised their minimum wage to $15 an hour, including California, New York and San Francisco. St. Paul is among the cities currently considering a $15 an hour minimum, with a proposal recently rolled out before the St. Paul council, according to station KMSP. Mayor Melvin Carter reportedly hopes to push the wage hike through by the end of the year. Philadelphia has become the latest major city to explore new regulations limiting the ability of businesses to schedule employee work shifts. The Philadelphia City Council is weighing rules that would force restaurant chains and other large, service-sector employers to post employee schedules in advance. Councilwoman Helen Gym’s proposed “fair workweek” bill would require companies to give workers a two-weeks’ advance notice of their schedules. The proposal would also require businesses to offer more work to existing workers before hiring new employees, and “predictability pay” if forced to make last-minute schedule changes. The Philly proposal comes as a number of cities across the country have begun regulating work schedules, including San Francisco, San Jose, Seattle and New York. Too much technology too fast? Turnover rates at quick-service restaurants are spiking, which, given the hot economy and competition for workers, may not be all that surprising. Still, the churn rate in the quick-service sector is now the highest it has been since Bill Clinton was president in the mid-1990s, the MIT Technology Review notes. The average annual turnover rate is 150 percent. To put it another way, a franchise owner with a payroll of 20 can expect to go through 30 workers in a single year, according to Business Insider. One big culprit is the quick-service sector’s rapid embrace of new technology, such as mobile apps and self-service kiosks. 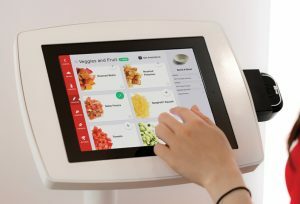 Customers may love the convenience, but some quick-service workers complain the new gadgets frequently break down and require extra supervision, BI reported. One problem is a lack of training in how to use the new technology, quick service workers told Business Insider and Bloomberg. Stress and frustration over dealing with gadgets they don’t know how to use – and which break down frequently – are prompting some workers to jump ship, the website and the financial news organization both report. Average wait times have also increased by 30 seconds, according to QSR magazine. “Less-experienced employees juggling orders from all these new platforms could be to blame,” the MIT Technology Review wrote of the increase in turnover. As we’ve seen, rules and regulations have a way of eating away at profit margins for small business owners. The revival of the debate over health care, as well as efforts to hike the federal minimum wage to $15 an hour, bears watching. So does the proposal in Philadelphia and elsewhere that would have the government regulate employee work shifts, which comes as a small but growing number of cities have passed similar “fair workweek” bills. And franchise owners need to keep a close eye on new technology, and, in particular, how their employees are dealing with all the new apps and other devices that are transforming the quick-service industry. While profits have gone up, so have wait times for customers, with the array of new gadgets a challenge for some employees to keep up with. 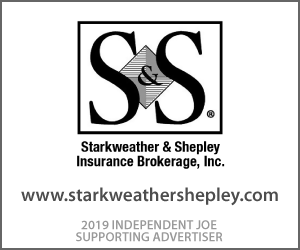 Throughout the year, Independent Joe will continue to monitor the trends, rules and regulations that will impact how you operate your business and profit from it.